Those residents living in areas with restricted parking are about to have their parking permits reviewed in an effort by the Northern Beaches Council to bring the long-running scheme in line with Roads & Maritime Services Parking Permit Mandatory Guidelines. Currently there are approximately 5,200 on street resident parking spaces, with over 7,500 permits issued. The ten areas affected are Little Manly, Balgowlah, Tower Hill, Tower Hill Extension, Ocean Beach, The Isthmus (CBD), Fairy Bower, Ivanhoe Park, Ivanhoe Park Extension and Ethel Street. The Guidelines state that only residents who have no off-street parking (or a residence that could not be reasonably modified to provide on-site parking space(s), are entitled to an on street permit - and only one. Also, the number of permits are not to exceed the number of spaces available! This will be a big task for council staff who will explore the issues residents face in finding parking, while also providing parking for tradies and visitors. The first step will be consulting with existing permit holders as well as undertaking an audit of off-street parking options. A report is expected to come back to Coucil around August this year. It's 5 years since the popular Manly Cinema closed, and it has been empty since. The original cinema on the site, The Embassay, was built in 1933. Manly Twin Cinema closed in 1913. ​Manly needs a cinema, according to Northern Beaches Councillor Candy Bingham. She is taking action to see what can be done to reinstate the Manly Cinema, which closed in 2013 and has sat vacant ever since. Cr Bingham is asking Council to clarify if it was a condition of consent that a cinema is part of the new high-rise development built in 1988, and whether there is any action Council can take to reinstate a cinema in Manly. According to Councillor Bingham, the owner of the premises lives overseas. Although there are business people wanting to operate the cinema various attempts to contact the owner have not been successful. “Manly is more than beaches and restaurants. We need to provide other forms of entertainment and things for people to do, particularly for our youth. “Locals are always asking me when is the Cinema reopening – it’s time we did something about making that happen” Councillor Bingham added. 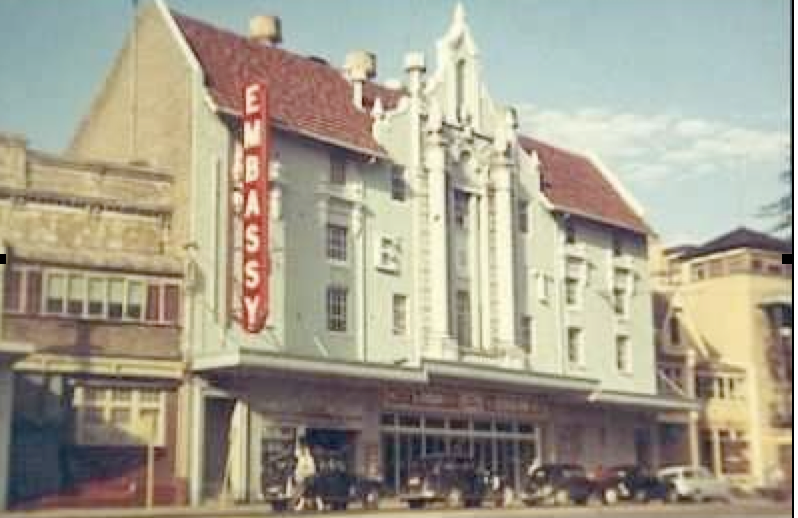 For more than 82 years there was a cinema screening movies at 45 East Esplanade. The first was the Embassy built in 1933. This was later closed for renovations and reopened in 1960 as the Odeon following the closure of the original Odeon Cinema in The Corso. The ‘new’ Odeon was demolished to make way for commercial premises and apartments. Manly Twin Cinema became part of that new development and opened in 1988. What are your memories of the Cinemas in Manly? Do you remember the Odeon? So much happening in Manly at the moment. Here's the interesting bits. 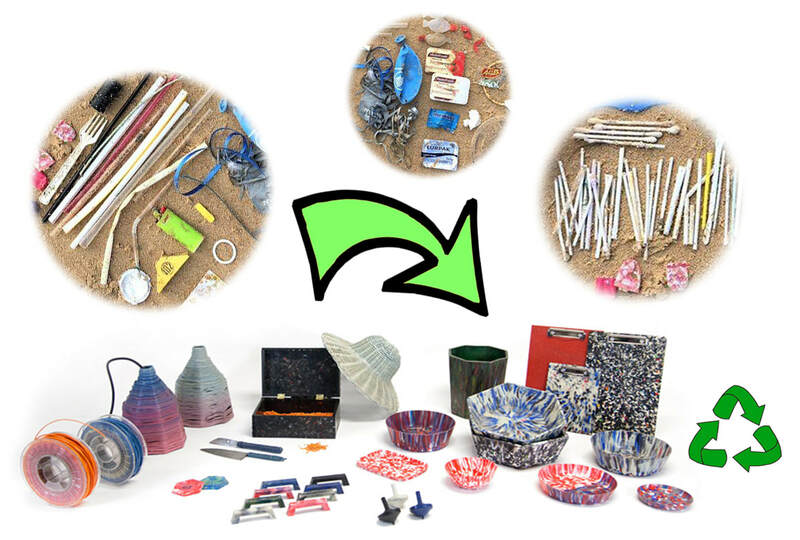 Plastic debris will be transformed to useful plastic products in a game-changing set-up coming to the Northern Beaches this year. 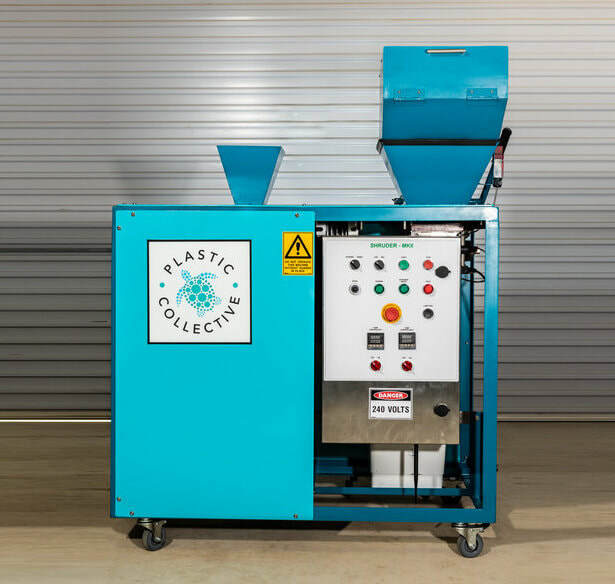 The key is a plastic shredding machine that will convert plastic rubbish to small fragments, to be used as building products, filaments or cord, or 3D printed into almost anything. The project will be run by Surfrider Foundation Manly, which has received a $50,000 State Government grant. 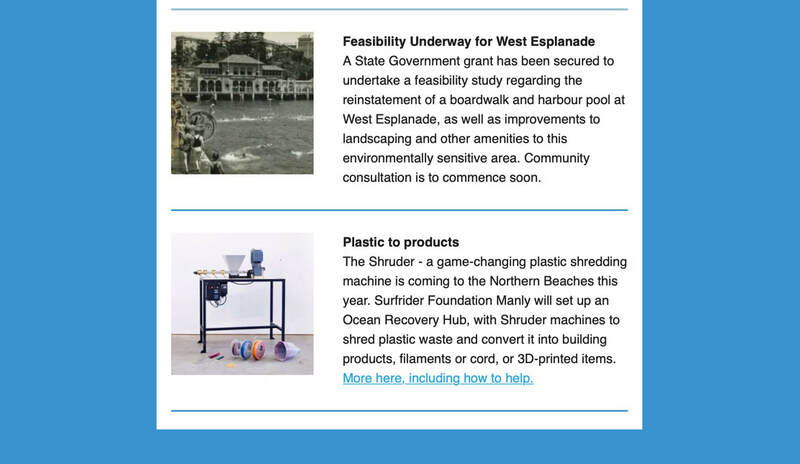 Surfrider will use the funds to set up a community-based Ocean Recovery Hub, centred around a Shruder - a compact, industrial machine that shreds plastic. The grant will also cover a 3D printer and appropriate training. 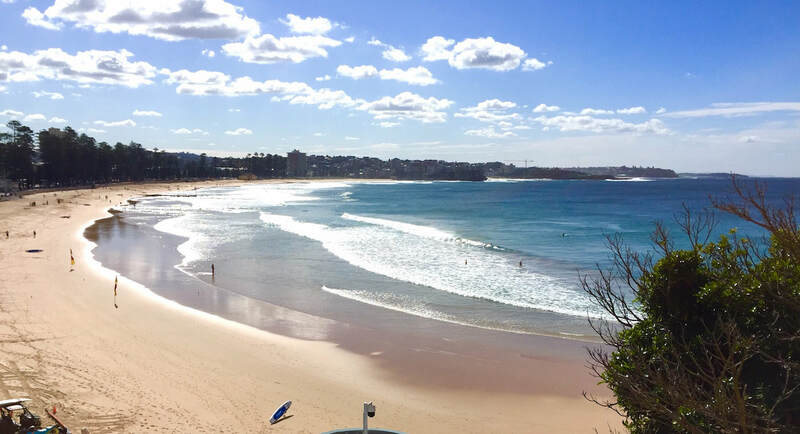 In early 2019, Surfrider Foundation Manly will be looking for suitable venues and partners to establish the Ocean Recovery Hub and start to ‘close the loop’ on the plastic economy. ​​ Contact Surfrider Manly here. 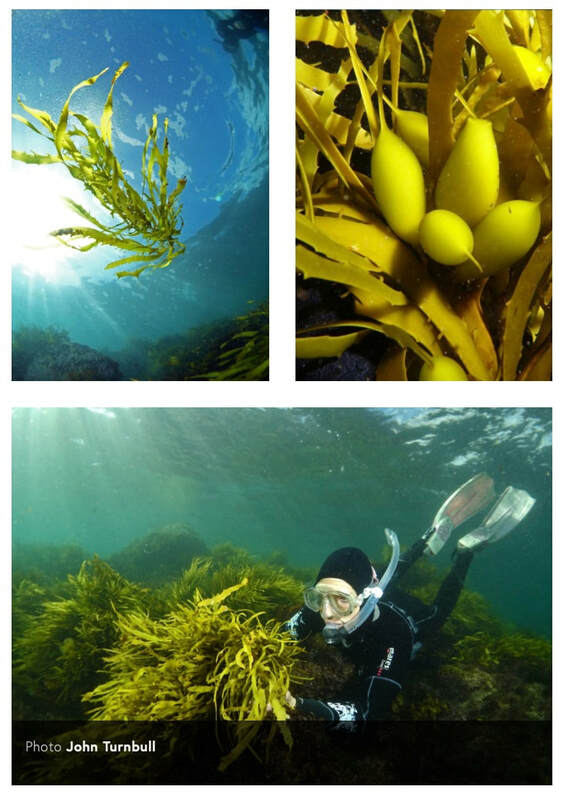 Crayweed, a form of seaweed, will be replanted in Cabbage Tree Bay in a locally-funded SIMS (Sydney Institute of Marine Science) initiative. The crayweed, which formed dense underwater forests along the Sydney coastline, provides food and a habitat for fish and marine invertebrates. But it disappeared sometime during the 1980s due to high pollution levels. The ocean is clean now, but the forests won't come back without our help. Local residents Dorset Sutton and Jenny Lim Sutton are supporting a replanting operation in Cabbage Tree Bay. 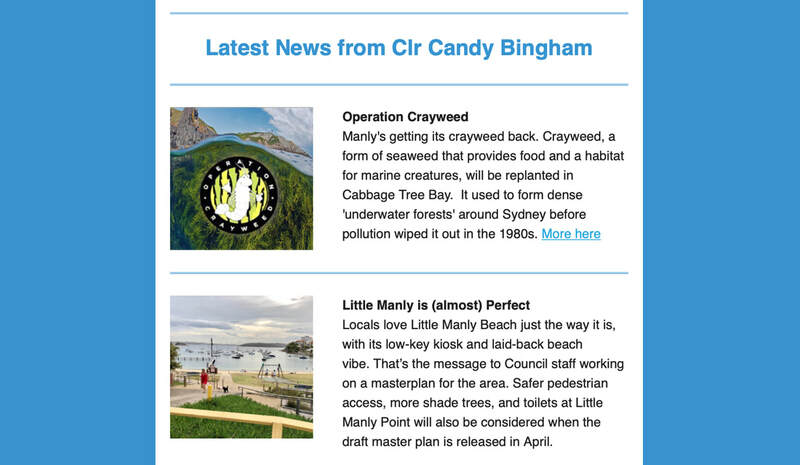 Operation Crayweed Manly has now been approved by the Department of Primary Industries and will start early in 2019. 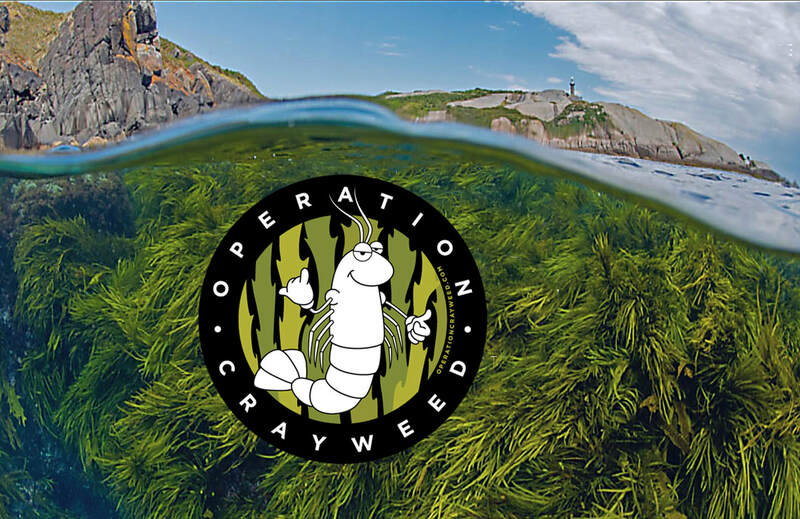 Healthy adult crayweed from existing populations will be transplanted to deforested rocks in Cabbage Tree Bay and attached using biodegradable mesh. The technique has been successful in many other Sydney sites, with crayweed reestablishing itself and recolonising the area. And once the crayweed is back, crayfish, abalone and a huge array of other fish and invertebrates come back too. More details here, including opportunities to help. Old Manly Hospital site has locked in its first project. It’s ‘Big Bear Cottage’, a hospice and respite care centre for young adults with life-limiting illnesses. ​Bear Cottage, located just down the road, can’t take patients over 18 years, meaning these sick young people often end up in geriatric hospital wards. Now, there will be an alternative, with the State Government unveiling a design plan for a young adult hospice last month. It features public areas, bedrooms for about eight patients, sweeping harbour views, and privacy - as a result of its proposed location at the back of the old hospital site. ​Images: Hospice design plan, including games room. The government is gifting the land for the hospice, and has committed to providing $2M in running costs every year, but most of the funding to actually build the facility has come from donations. An extraordinary $25M has already been raised, guaranteeing the project will go ahead. The hospice, which will be the first of its kind in the state, will not only provide a much-needed service, but will help establish the hospital site as a community health precinct. Manly Hospital closed on October 30, with medical services transferring to the new Northern Beaches Hospital at Frenchs Forest. 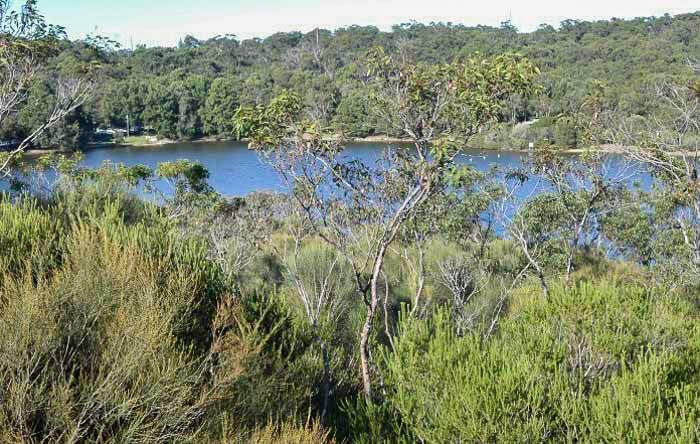 its magnificent hill top site, which is owned by the State Government, is valued at around $500 M. The current Liberal government has promised the entire site to the community, either as bush land or as a community health precinct (see image below). Which facilities end up on the site are yet to be determined, with community members actively involved in the decision-making process. The government has promised the site will not be sold for residential development. ​Image: Provisional old hospital site map: yellow area marked AYAH - the hospice; green areas - return to bush land; blue areas - future community health facilities. 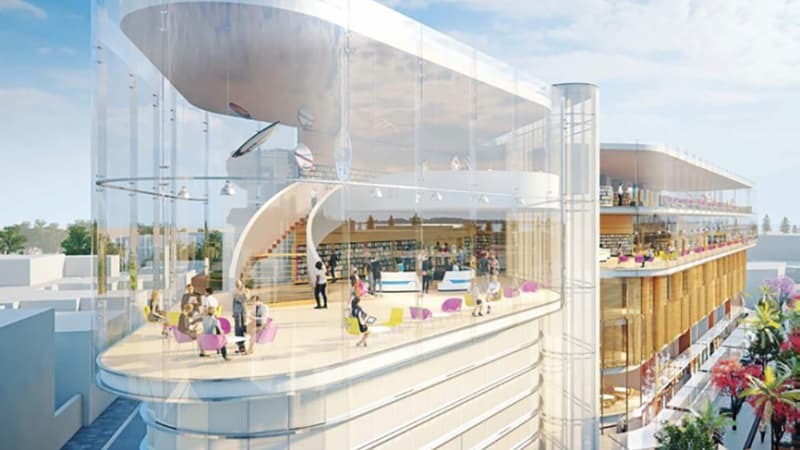 Northern Beaches Councillor and Good For Manly President Candy Bingham, who has been campaigning for the project, said she was delighted that the work would go ahead. "When the existing club building was built in 1981 there were only 15 female patrolling members," Cr Bingham said. "There are now 760." "It is the largest club on the northern beaches, and it's not only used by club members, but by the Bold & Beautiful swimmers and other community groups." "Storage facilities are completely inadequate and the public toilets under the building are a disgrace. The toilets are over 40 years old, but they're used by more than 2 million beach goers every summer. Every day I get complaints about the state they're in. "The great thing about this project is that the whole community will benefit. We'll get the new toilets and we'll also get community facilities in the new building," Cr Bingham said. Manly SLSC itself is 115 years old, and has occupied various buildings before the existing one. In 1981 the clubhouse was actually on the beach and could be accessed directly from the sand. ​The club also has a huge collection of historic surfing artefacts and memorabilia. It's now in storage as there's no room to put it on display. 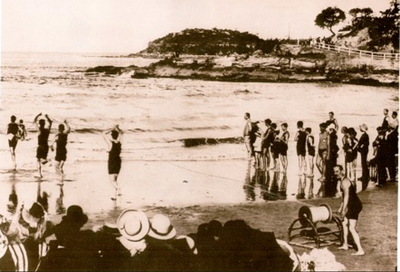 The images below show: Frank Hurley's iconic image of the club and shark tower in the 1950s; Manly surf reel and long boards; surf life saving demonstration c1910. The Council will carry out community consultation before a design is selected, and will soon invite expressions of interest from architects. 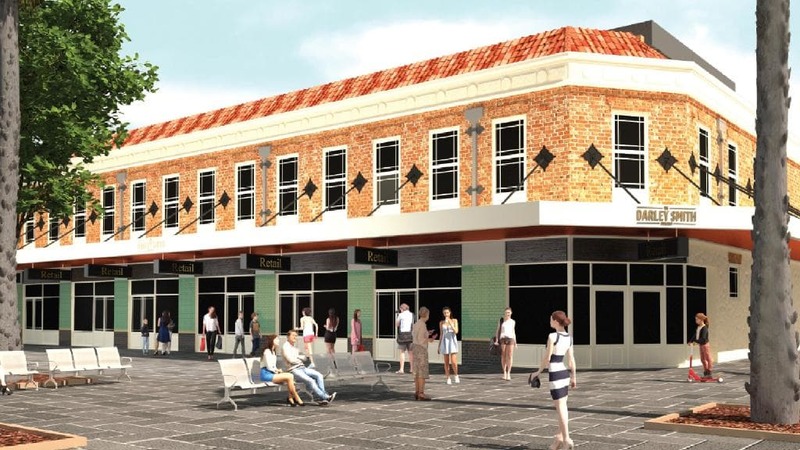 Work has started on the $12 million revamp of the St Matthews end of The Corso. The Anglican Church, which owns the seven shops adjacent to St Matthews, has commenced a major rebuild of the properties. The historic facade on the first floor will be kept, but behind that will be new kitchen facilities, a row of flexible meeting rooms and offices. The set-back second floor, not visible from The Corso, will contain a 180-seat auditorium with a kitchen and cafe. There will be a large new basement for storage space. At ground level, the row of shops will have ‘consistent’ frontages and signage, with the church looking for up-market tenants, including ‘iconic’ clothing brands, and a high-end coffee shop. Manly’s much-loved chemist Malouf’s Pharmacy, which was in that row of shops and was forced to relocate, will be offered a spot. The work will take up to a year to complete, but the experience will be softened with a mural coming to replace the existing ugly hoardings. ​It’s official - our beaches are very good. The latest State of the Beaches report rated all 32 Northern Beaches as either ‘good’ or ‘very good’ in terms of water quality and swimability. ​The State Government’s annual report showed that northern peninsula beaches did particularly well, with Palm Beach, Whale Beach, Avalon, Bilgola, Newport, Bungan and Mona Vale beaches all scoring ‘very good’ - the top mark. South Curl Curl was also rated ‘very good’, while all the rest of our ocean beaches, including Freshwater, Manly and Shelly beach, were rated ‘good’. Our harbour beaches did well too - with Clontarf and Forty Baskets pools, Fairlight Beach, Manly Cove and Little Manly Cove all rated ‘good’. All of these were the same as the previous year, except Clontarf, which improved. Good For Manly President and Northern Beaches Councillor Candy Bingham welcomed the result. “The water is such a big part of our life here on the Northern Beaches, so beach and water cleanliness is incredibly important to us,” she said. “This is a good result, and the council will keep working to improve the stormwater network and continue with bush and creek regeneration so our beaches stay clean." Our garbage collection is getting greener - with food waste set to be turned into compost under a new council waste management plan. And in a double win, the new system will cost ratepayers less. Northern Beaches Council has signed a contract with waste management company SUEZ to process the entire contents of residents’ rubbish (red lid) bins. The process, which will be carried out at SUEZ’s Eastern Creek facility, will first remove any recyclable plastics or paper products. Organic matter will then be separated out and turned into compost material for use in agriculture and mine site revegetation. The council originally envisaged residents sorting their own food waste and disposing of it in the green lid garden vegetation bin along with plant and lawn cuttings. However the new strategy means all food waste will be recovered, with no need to rely on residents doing the right thing. The council selected SUEZ in August last year as a result of a tender process, with the new service to start in July 2019. Council Deputy Mayor and President of Good For Manly Candy Bingham welcomed the extra recycling step. “The new process will recycle 70% of what gets thrown into the garbage - whether it’s food waste, or paper and plastics that are in the wrong bin,” Cr Bingham said. 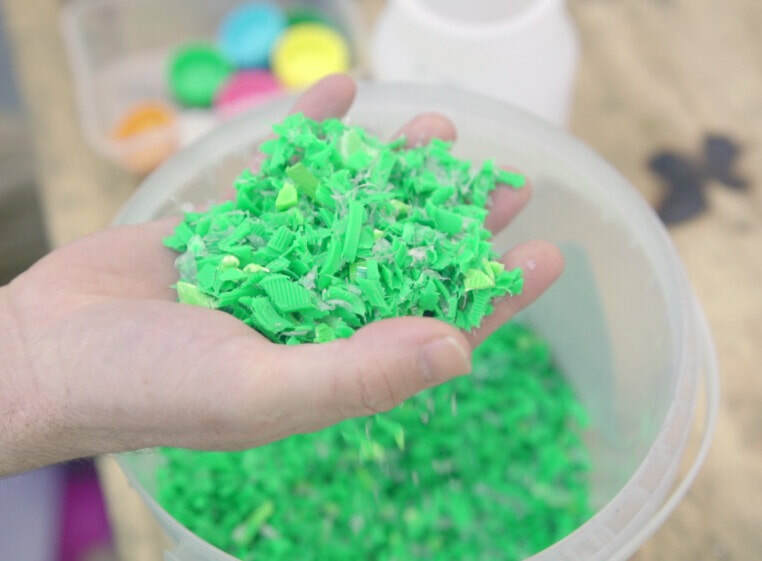 “That’s a huge amount of material diverted from landfill and retuned to the economy. The Council will also get a new fleet of garbage trucks after a 10-year contract was signed with United Resources Management (URM) earlier this month. The new vehicles will have up-to-date safety features, emission-controlled engines and fully enclosed covers for the loading ‘hopper’. As well the Council will introduce a separate metal collection; and will work with local community groups to separate out and retrieve valuable items, such as furniture and white goods, from kerbside collections. The plan to increase no-take ‘sanctuary’ zones has been ditched, after lobbying by fishing groups. Primary Industries Minister Niall Blair has announced that “fishing lock outs (are) off the table”. The public consultation process, which still has almost two weeks to run, has been marred by confusion and unfounded concerns that fishers would be 'locked out' of all their favourite spots. In fact, only 2.5% of the coastline would have had fishing completely banned, and many popular fishing spots were specifically excluded from proposed sanctuary zones. Marine activists and environmentalists have criticised the back-down and vowed to continue the fight for a Sydney Marine Park. 7/9/18 The state government plans to increase marine parks in Sydney Harbour and up and down the coast. In Manly, both Cabbage Tree Bay and North Sydney Aquatic Reserve would increase significantly in size. While many people are delighted, fishermen are worried that some fishing spots will become off limits. 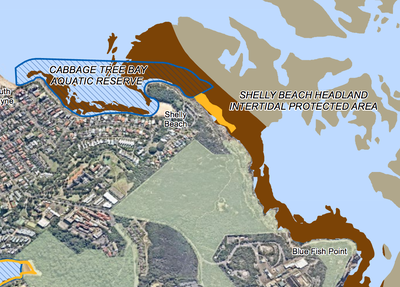 ​Under the proposal Cabbage Tree Bay would increase in size from 18 to 52 hectares. 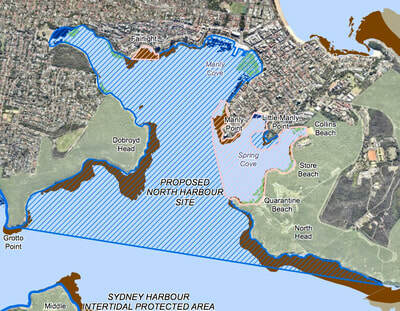 The protected area would be extended around North Head almost as far as Blue Fish Point, and go further out to sea. Blue Fish Point itself would be designated a 7ha Special Purpose Zone, where recreational fishing, and some activities would be allowed. And in a big win for environmentalists, boats would be banned from anchoring in seagrass regions in Cabbage Tree Bay, with courtesy moorings or a designated anchoring area to be considered instead. The images below show existing reserve on the left; new enlarged reserve on the right. Pink is a Sanctuary no-take zone, blue is Special Purpose - some fishing allowed. Our other marine park is North Harbour Aquatic Reserve - a section of Sydney Harbour between Dobroyd Head and North Head from Quarantine Beach to Collins Beach. The new proposal would increase this area northwards all the way to the coastline, meaning Manly Cove, Spring Cove, Fairlight and all of North Harbour will be completely included. See images. 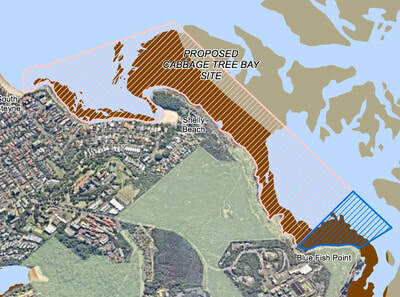 As well, the new area will have two new sanctuary (no take) zones; one at Fairlight beach and the other in Spring Cove. 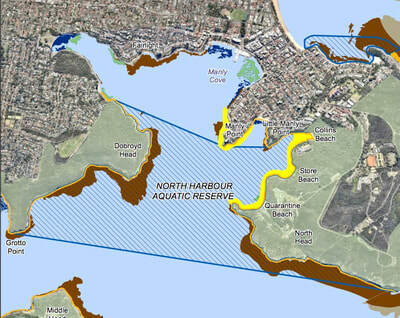 However, recreational fishing will still be allowed in a small area around Little Manly Point. The images below show existing reserve on the left; new enlarged reserve on the right. Pink is a Sanctuary no-take zone, blue is Special Purpose - some fishing allowed, yellow is little penguin habitat. ​Many people in the Manly community have worked hard for this for years, including Sharnie Connell from the Marine Conservation Society, the Surfrider Foundation, and Manly Environment Centre. Our local MP James Griffin has also pledged his support. All up the proposed new park would deliver 25 new marine sites in the Hawksbury Shelf Bioregion between Newcastle to Wollongong, including sites at Dee Why headland, Long Reef, Narrabeen Head, Mona Vale, Bungan and Barrenjoey headlands and Lion Island, as well as Chowder Bay, Camp Cove and Nielsen Park. Despite this, 95% of the region remains available for fishing. 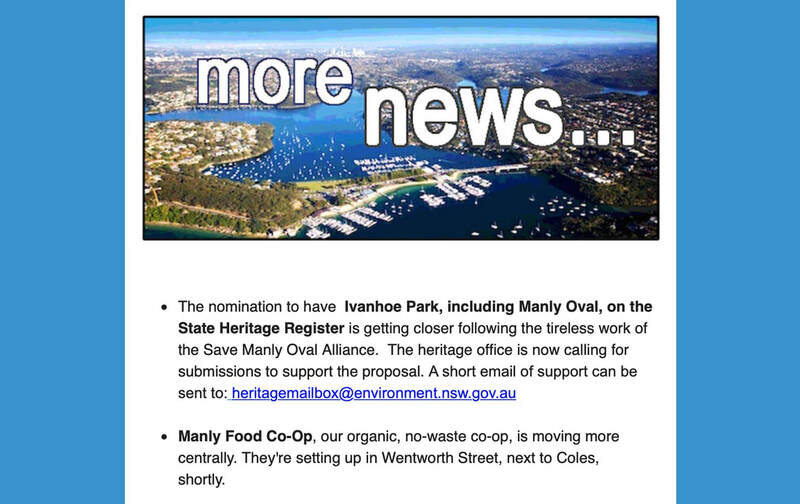 More details here for Cabbage Tree Bay and North Harbour Reserve. Owners corporations (body corporates) can now pass by-laws banning short stay letting in investment units, although a 75% vote is required. But it’s a different story for unit owners who rent out their own home - their principal place of residence. Owners corporations have no power to ban short-stay rentals of a unit owner's own home. There's no restrictions at all if the host is still living there and just renting out a few rooms; but new Environmental Planning Laws will limit the time the entire unit - host not there - can be rented out to 180 days a year. New ’Two strikes and you’re out’ laws are meant to protect other apartment owners from anti-social behaviour by short term renters. These are yet to be tested. 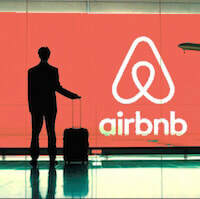 A short-stay rental usually means anything less than 30 days, with Airbnb and Stayz dominating the market. 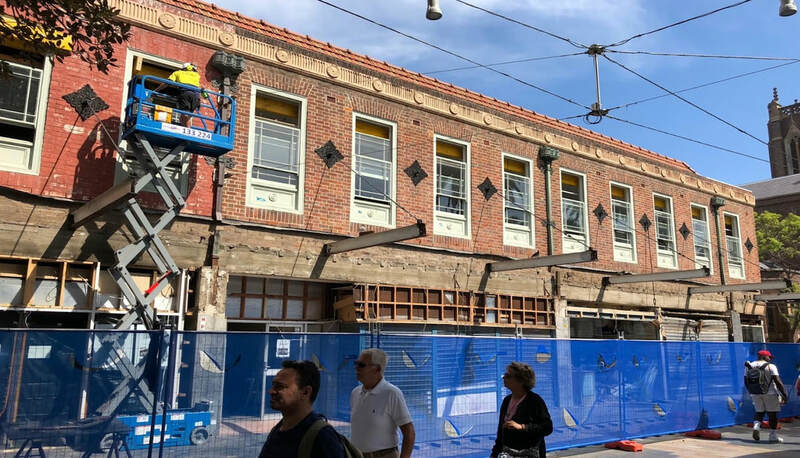 "The builder contracted to transform a site in Manly's town centre has accused the former Manly Council of misleading conduct for failing to reveal it bungled the contract when the company signed up to the doomed project. Do You Remember the Harbour Pool? ​The reinstatement of the famous harbour pool and boardwalk came closer this month with a $100,000 NSW Government grant received by the Council to undertake a Masterplan for the area. 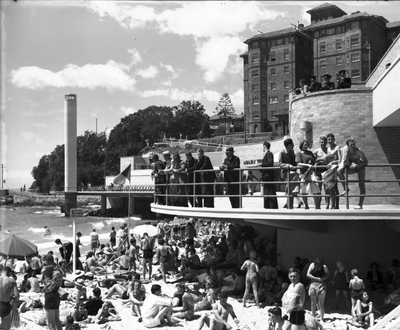 For years Good For Manly has been advocating for the pool to be reinstated, with plans drawn up by eco architect Maurice Patten. Now, thanks to the support of Local Member James Griffin, this community-lead project is back on the agenda. The Masterplan will include extensive community consultation and consideration of this environmentally sensitive area. First, here's a reminder of how things used to be. ​Picture the excitement as families rushed off the Manly ferry, hurried over the boardwalk and jumped into Sydney’s biggest harbour pool. Crowds of happy people would be eating ice-cream on the walkway, diving from the pontoons and high boards and spilling off the slippery dips and treadmills; shrieking and splashing. From the early 1930’s locals and tourists alike flocked to the free public pool, dubbed the ‘best swimming pool in Australia’. Thrill-seekers sought out the high dive platforms and 15m waterslide and a generation of Sydneysiders swam and played in the protected waters behind the shark nets. There were spacious changerooms and plenty of tearooms for afterwards. At night, from 1932, floodlights above and below the water lit the promenade and turned the water green. 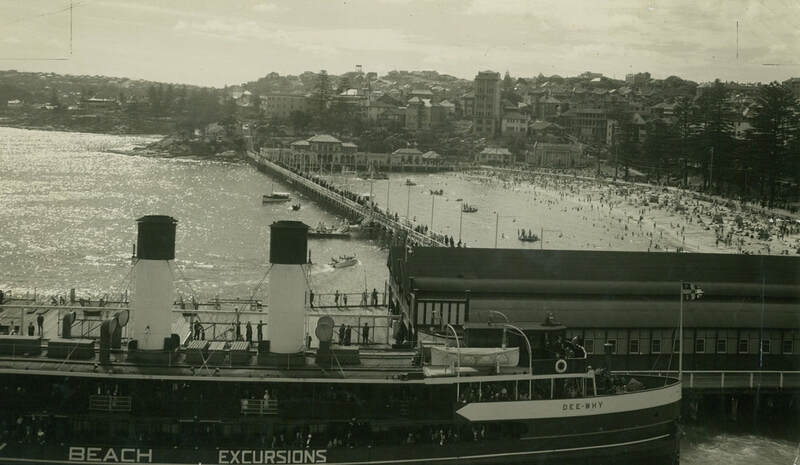 At its peak, over 250,000 visitors came to the baths every year, boosting local businesses which offered fun rides and speed-boat trips, as well as food and drink. The pool justified Manly’s famous slogan: ‘Seven miles from Sydney and a thousand miles from care’, and the village revelled in its prime holiday destination status. Originally constructed in 1931 by the Port Jackson Steamship Company, the boardwalk survived the wartime years but, by the mid ‘60s, maintenance needs were rising and there was talk of demolishing the structure. In May 1974 a severe autumn gale pre-empted the decision and destroyed the boardwalk so thoroughly that then owners, Brambles Industries, had no choice but to remove everything. And here's our video of ideas for a new green, family friendly harbour pool precinct. More details here. Manly‘s iconic harbour pool and boardwalk were destroyed more than 40 years ago when Sydney was hit by one of the worst storms in recorded history. Manly locals have never forgotten the much-loved swim spot. Finally, we're a step closer to getting it back. 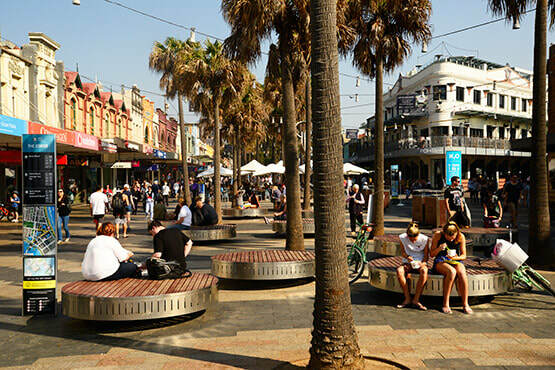 The Northern Beaches Deputy Mayor and Good For Manly President Candy Bingham has spent several years developing a masterplan for the entire West Promenade area. The plan, put together by architect Maurice Patten, includes a boardwalk stretching from Manly Wharf to the former Sea Life Sanctuary; a huge calm-water swimming area with pontoons as well as a lap-swimming section; an environmental sea-grass area and a little penguin protected zone. On land there would be landscaping and a focus on art and culture, anchored by the existing Manly Art Gallery and Museum; as well as a future use for the aquarium site, vacated by the Sea Life Sanctuary earlier this year. Now the State Government has come to the party with Manly MP James Griffin announcing a $100,000 heritage grant for the council to take the work further. This will include extensive community consultation, an updated plan and costings for the potential project. “Manly has always been famous for its ocean beaches, but a lot of people prefer to swim where it’s a bit more sheltered, and they know they are safe from sharks. Check out our photo gallery and history article here. Maurice Patten's plan for new pool, boardwalk, landscaping and public art developed for Good For Manly. 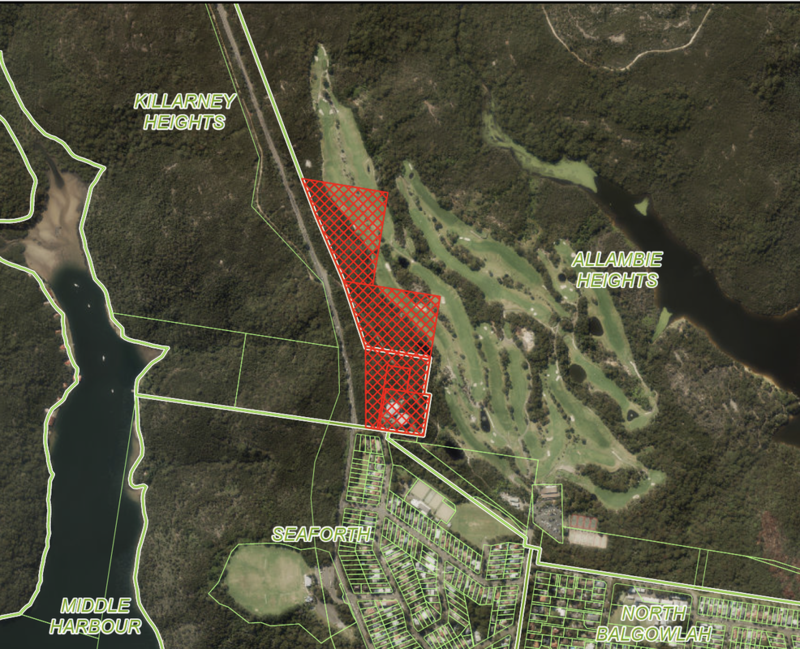 Balgowlah Golf Course will go but homes and bushland will be saved as plans for the Beaches Link Tunnel move forward. The new focus on the golf course was revealed in State Government design plans for the $8 billion tunnel released last month. It is one of several changes adopted by the government as a result of community concerns. A change to the alignment of the tunnel means the Balgowlah course can now be used for major construction work and later, as the site of one of the two tunnel ventilation stacks. This move not only saves homes and bushland west of Burnt Bridge Deviation but also moves the stack further away from Seaforth Public School. Permanent infrastructure, including the exhaust stack and a tunnel link road, mean that the site will no longer be viable as a golf course. Instead the government has promised that once the tunnel work is done, it will be reconfigured into playing fields or open space. Changes have been made at Seaforth as well. The second tunnel access point and exhaust stack has been moved 500m further north along Wakehurst Parkway, as a result of concerns that the infrastructure would be too close to houses and Seaforth oval. The government has promised that Seaforth oval sports fields will not be affected by construction work, and that work trucks will be kept off local roads. As well, Wakehurst Parkway will get wildlife crossing sites, and a new cycle/pedestrian path, complete with an underpass. Northern Beaches Councillor Sarah Grattan, who has been working closely with community advocacy groups, said while the changes were welcome, more needed to be done. 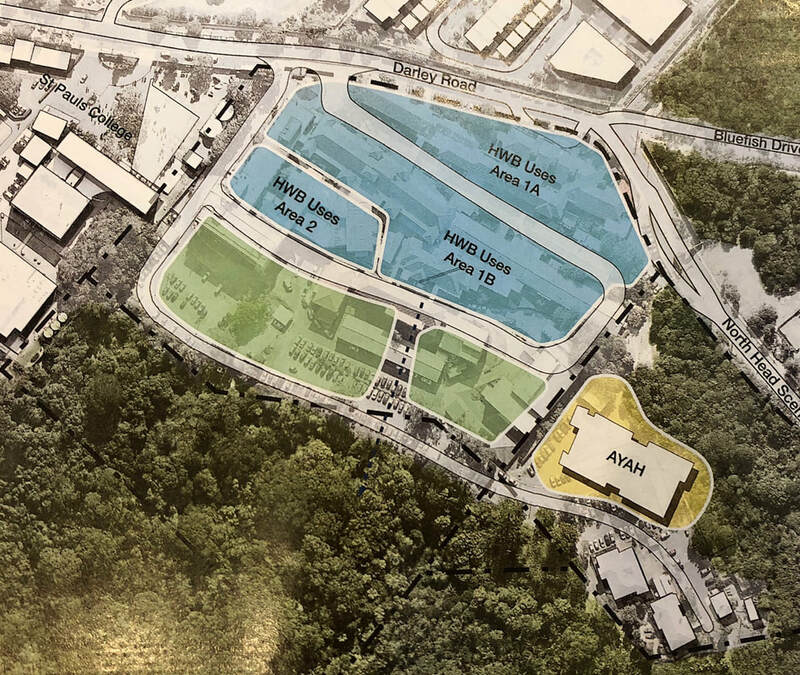 “(The design) is not perfect by any stretch - but thanks to constructive community advocacy we have a much better proposal to work with,” Cr Grattan said. She said unresolved issues include the tunnel access site on Wakehurst Parkway, which has not been moved far enough north, and remains too close to homes on Kirkwood St. And the Balgowlah emission stack remains a concern as fumes may be trapped in the ‘Balgowlah basin’. Cr Grattan suggests that airflow should be redirected in the tunnel to push the majority of emissions to the Wakehurst Parkway stack, which is on a ridge, and therefore better positioned for dispersal of fumes. Filtering the Balgowlah stack is another suggestion. Other concerns include construction traffic and road safety around Balgowlah Boys High School; compensation and transfer options for Balgowlah Golf Club members and the effect of a major construction site in Seaforth. The government has allocated almost $560 million on early work so far, with major construction set to start in 2020 and the tunnel to open in 2026. Promised travel times include 14 minutes between Balgowlah and North Sydney; and 53 minutes from Manly to Parramatta. New Iconic Building for Manly? 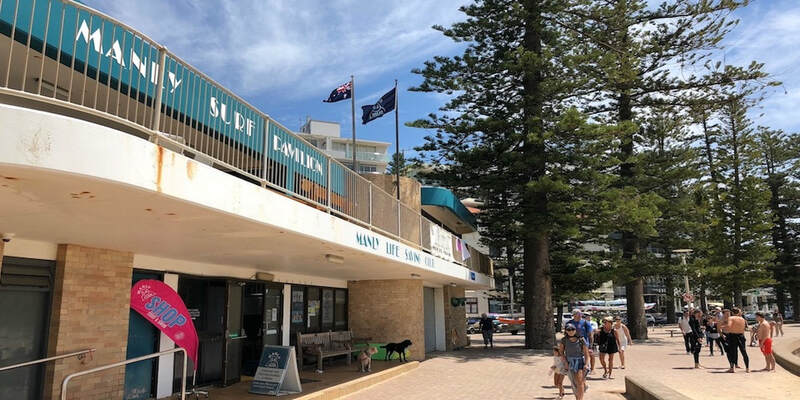 Discussions are underway between the Manly Surf Life Saving Club and Northern Beaches Council to begin the process to upgrade facilities at Manly's iconic beach. The first LIfe Saving Club, in 1913. Manly Life Saving Club building today. The present condition and adequacy of the Manly Life Saving Club building. What action would be appropriate to bring the Club’s building into line with present and foreseeable future requirements. The possibility of a design competition for a new building. What funding options would be available, for a new building, including Government Grants. A full report is expected to be competed by by October 2018. 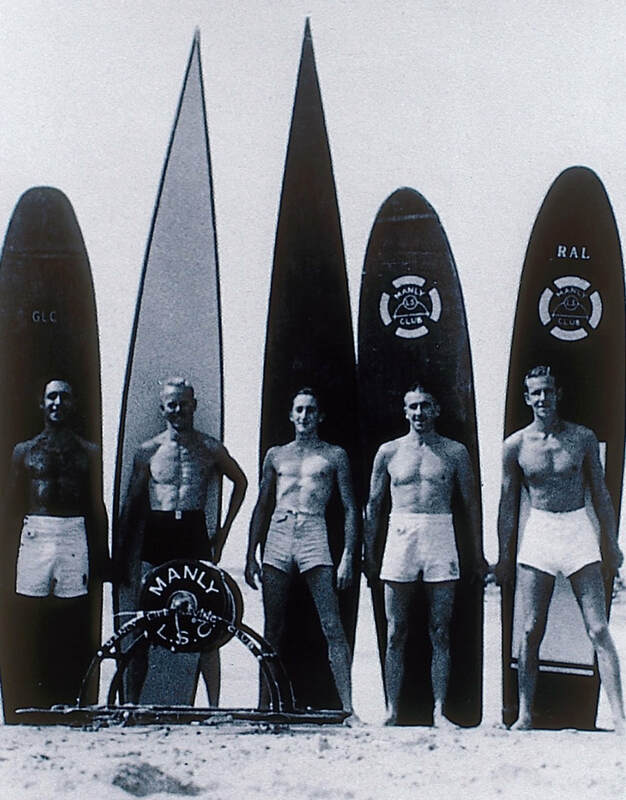 Established in 1903 Manly Life Saving Club is one of the oldest surf clubs in Australia. It is situated at the iconic Manly Beach where an estimated 2 million people swim each year. The Club is run solely by volunteers, and is the largest on the Northern Beaches with 1975 members, including 705 young nippers and cadets, and 670 patrolling volunteer members. Manly’s volunteer lifesavers performed a total of 16,000 patrol hours and 3,950 water safety hours in the 2017/2018 season. MLSC trains and refreshes credentials of over 800 people each year. The existing building, which was constructed in 1981, is now totally inadequate for the current needs of the Club, and the community. For example, when the Club was built, there were only 30 patrolling female members, there are now 760! The structure is in an extremely poor condition and provides no disability access. In addition, the public facilities are antiquated and totally inadequate. For example SurfEducate host 200 schools and run 300 sessions on Manly Beach each year, a total of 15,000 students. The Bold & Beautiful and other ocean swimming groups can tally over 600 swimmers on the average summer morning. Even in winter these numbers still remain in the hundreds, seven days a week. And of course there are millions of tourists each year visiting the beach. Some years ago Manly Life Saving Club obtained a Development Approval to substantially remodel the Club, with an estimated budget of $5m required. However, present indications are that a complete rebuilding of the existing structure is required. Council has committed $550,000 across three community grant streams in 2018/19 and local community groups are encouraged to apply. Workshops will also be held to assist with how to to fill out an application. Sports and Recreation Infrastructure – closing 11am, Thursday 2 August. Applicants must be incorporated not-for-profit organisations; however, individuals and unincorporated small groups may apply for a grant but must be auspiced by an eligible organisation. Each grant program has its own eligibility, objectives and assessment criteria with clear guidelines and application forms are to be completed online. Contact details for each program are contained in the relevant guidelines. It all started when Bunnings and Woolworths decided to open large outlets in Roseberry Street, Balgowlah. A once quite ‘industrial’ street suddenly become one of Manly’s busiest and most clogged roads. Add funky furniture shops, a bigger swim centre with changed parking in Kenneth Road, and the traffic is now chaos. But alarm bells really started to ring with the news that an Aldi Supermarket will soon operate in the street, together with the opening of the Manly Vale B-Line parking station. It’s time to sort out the mess! At the last Council meeting, Clr Candy Bingham moved a motion, which was passed unanimously, that Council undertake a comprehensive traffic study of the area. 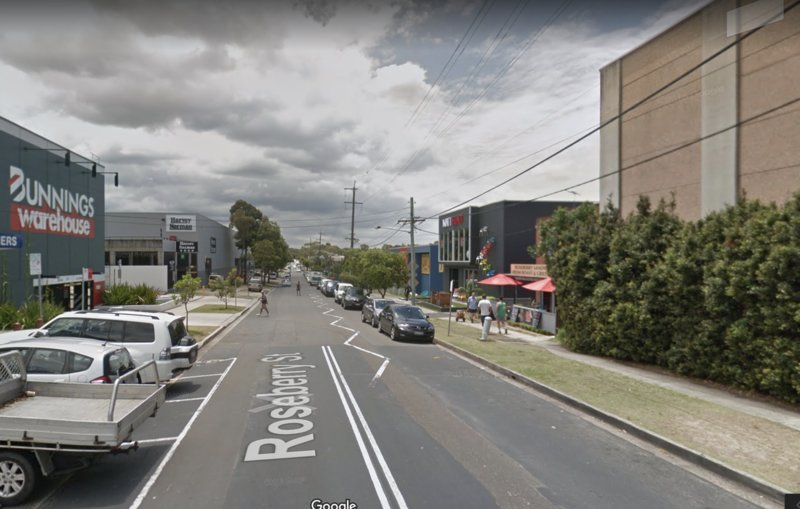 This will include the feasibility and impact of opening up Quirk Road, linking Balgowlah Road to the south and Kenneth Road to the North, an idea submitted by the Greater Manly Resident's Forum. A concept plan to improve pedestrian amenity and to beautify the area is also proposed. The traffic study is expected to take 6 months. On 26 November 2016 and 27 April 2017, Candy Bingham published certain articles, and comments by others, about Henry Wong on the Good for Manly website. On 8 August 2017, at a meeting of the Northern Beaches Council, Candy Bingham made certain statements about Henry Wong. Candy Bingham unreservedly apologises to Henry Wong for the distress caused to him and his family by those statements, articles and comments and has duly withdrawn the offending materials from the Good For Manly website. This apology is made as part of a confidential settlement of defamation proceedings brought by Henry Wong against Candy Bingham. ​On 18 March 2018 the Greater Sydney Commission announced the finalisation of the Greater Sydney Region Plan - A Metropolis of Three Cities and five district plans, including the North District Plan. North District comprises nine (9) Local Government Areas (LGAs), including the Northern Beaches LGA. The finalised plans outline the State Government’s strategic planning direction at the regional and district level and are intended to filter down to Council’s planning at the local level. An earlier version of North District Plan (Revised Draft North District Plan) was reported to Council on 19 December 2017, and Council resolved to forward a submission to the GSC. There is no further opportunity to make submissions or request changes. A new requirement for high density residential development to be located within 200m of open space, in addition to the requirement for all dwellings to be within 400m of open space. Delivery of infrastructure to meet community needs. Although there is no further opportunity to make submissions, the North District Plan is intended to be a ‘living document’ updated from time to time. Council can continue to make its position known to the Greater Sydney Commission if and when opportunities arise in the future, in addition to utilising its own planning and development approval processes to pursue desired outcomes. The considerable and comprehensive planning work that follows on from the finalisation of the Greater Sydney Region Plan and North District Plan will need to be accounted for in Council’s future programs, resourcing and budgeting. Ongoing collaboration on Frenchs Forest and Ingleside. You can read the entire plan, here. Manly, Seaforth & Balgowlah Village Centres will be managed by a Place Coordinator. ​The development of the 'Seaforth Activation Plan' will be commencing in June following a briefing with the Councillors on the planned research and engagement activities that will be used to develop the plan. This will be managed by a newly appointed Place Co-ordinator for Manly Ward, Deborah Richardson Bull, who will focus on the areas of Manly, Balgowlah and Seaforth village centres. The role of the Place Coordinator is to work closely with community and local businesses to make our public areas better for the people who use them. The Place Coordinators act as a point of contact to facilitate the effective communication between Council, community and business. There will be a Place Coorinators for each of the five wards of the Northern Beaches. They are also the key contact point for internal Council teams to coordinate works, projects, events and service delivery in the commercial centres. Organised the Pathway of Olympians presentation event in Manly in December 2017. Undertaking a bicycle parking review. Working closely with Hello Manly Visitor Information Centre and the Manly Town Centre Manager. Working with the Capital Projects Team to liaise with businesses in Balgowlah and Manly on paving projects. Coordinating a partnership for artwork on the hoardings with St Matthews Church at Manly during their construction phase of approximately 18 months. Coordinating a review and rebrand of community noticeboards across the area. What improvements would you like to see to these areas? The Rate Debate - What IS Happening? Council rates have been top of the agenda recently with the Northern Beaches Council's Draft Delivery & Operational Plans, Budget and Resourcing Strategy all going on public exhibition this week. ​Concerns were raised about the proposed rate rise (with is capped at 2.3%) when many were expecting a rate freeze, or reduction in rates, as was promised as a result of the amalgamation. In fact, the State Government did enforce a 'rate freeze' but it was on the basis that no ratepayer would have an increase in rates any more than would have been charged by their previous council. Council rates have been capped by the State Government for about 40 years with annual charges calculated based on a local government CPI formula. Last week Council voted to keep up with inflation. There will be no rate-rise outside of the capped 2.3% suggested by the NSW Government (via IPART) for all Councils across NSW. This equates to an average of $31 per household per year, which will be offset as a result in reductions to domestic waste charges by as much as $94 for former Manly Residents. It is interesting to note that when the three Councils were amalgamated in May 2016, only Warringah was free of debt. Pittwater had debts of $24,035m and Manly had a whopping $66,350m (including $30m borrowed just days before the amalgamation against the yet to be approved Manly Oval Car Park). This overall debt of $90,385m has now been reduced to $37,821m. The Administrator took the decision to create a "Merger Savings Fund", with savings set aside and allocated to specific projects until 2021. You can view the Council's Draft Delivery & Operational Plans, Budget and Resourcing Strategy here. The council is developing a strategy that will set the plan for future transport within the whole beaches region. There’s a lot on the table: roads and traffic; car parking; bus and ferry transport; potential for light rail; walking and cycling and community transport options such as the Hop, Skip and Jump bus. Interconnecting our transport options and making them work better together is part of the picture too. So is engaging with other transport stakeholders, including neighbouring councils, transport providers and state and federal agencies. 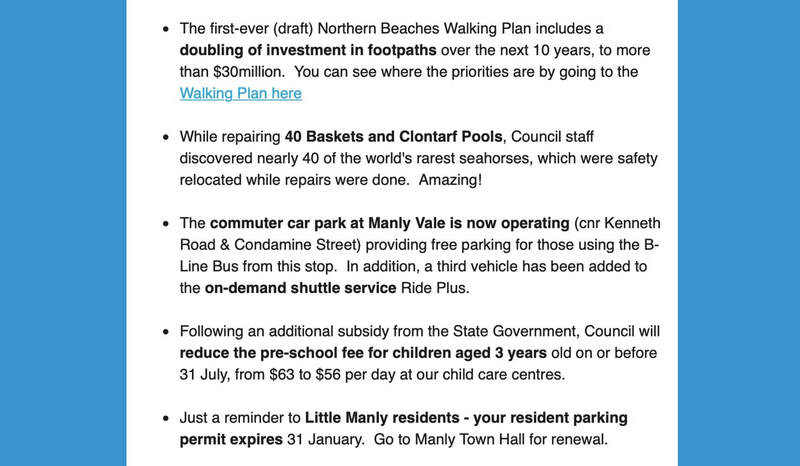 And working to generate more jobs in the Northern Beaches to do away with the city commute entirely. Good For Manly asked our Facebook community their opinion on how to fix our traffic snarls. The options of light rail, dedicated bus transit lanes and separated cycle paths got a lot of support. So did a suggestion to put up the “house full” sign, despite the fact that our population, housing and job targets are set by the State Government. Sydney’s overarching planning body, the Greater Sydney Commission, estimates the beaches’ population will grow by 18 per cent to just under 300,000 by 2036, so the council is obliged to create another extra 3400 dwellings to meet the target. And while a rail line is an enticing thought, it is likely the beaches would need to accept sustantial extra development along the line to pay for that sort of infrastructure. Manly, Mon 30 April, 6.30 – 8pm - Manly Library, ground floor meeting room. And you can contribute your ideas online here.